The Berenstain Bears The Very First Christmas takes a very detailed and complex story and brings it down to a children’s level without losing the important pieces. My daughter enjoyed The Very First Christmas and she understood what was going on. This is a very kid friendly book and helps young readers understand the importance of Christmas. Throughout the story I felt it was kept at a high level. Like for example, an angel appeared to Mary. They kept the angel part but took out the name of the angel. And that works. It refers to Joseph having a bad dream that King Herod is upset with Mary and Jesus so Joseph takes them to Egypt till he passes. I like how they keep it at that level. There’s no need to go into details with young children. The illustrations as beautiful. As always, each page is full of color and draws you in. Even if you cannot read yet they will love just sitting there and looking at the pictures. My 5 year old is just starting to read and she loves looking at the pictures and picking out the words she recognizes. One of my favorite features of Berenstain Bears books is the questions on the back inside cover. There are questions I can ask my daughter to see if she is comprehending the book and understanding what she was just read. There are even a few take action points. For example in this book one of the actions is to make Christmas cards for your neighbors or people in nursing homes so that they know they are not forgotten and to help them remember the spirit of Christmas. I like how the actions get your child to think of others and how they can help make someone else feel loved during the holidays. 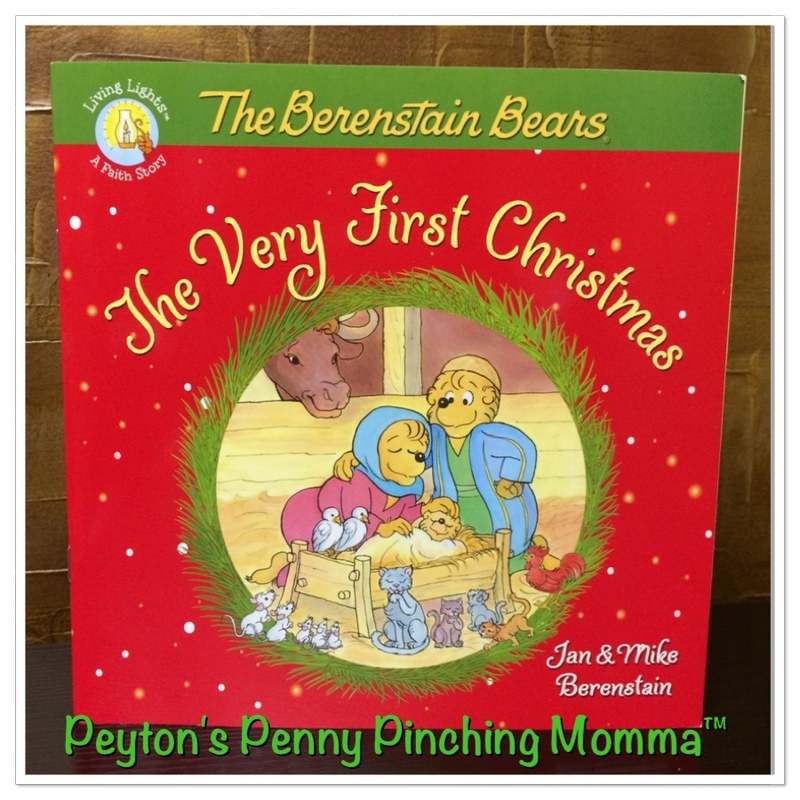 You can pick up your own copy of The Berenstain Bears The Very First Christmas on Amazon.